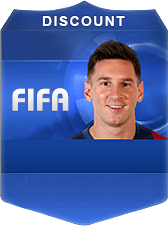 Click Buy Now To Buy New Customized FUT 15 Account PS3 With Coins On Our Website. Buying New Customized FUT 15 Account PS3 With Coins On Our Website. This Is The Best Option For New Gamers And Resellers. (1) After You Pay, We Will Create An New Account For You And Will Deposit The Respective FIFA Coins Amount On It. (2) We Will Re-Check The Coins Amount And Save All The Screenshots/Evidences Of This New Account. (4) Once The Customized Account Been Sent To Your Email Box, The Order Is Completed ! (5) To Secure Your Game Account, You MUST Reset All The Password Once Received The New Account.